Fire-Rescue will be administering flu shots for volunteer and career personnel at Headquarters on Monday, October 5th and Tuesday, October 6th from 17:30 to 18:30. The vaccine is free of charge and offered on a first come, first served basis while supplies last. 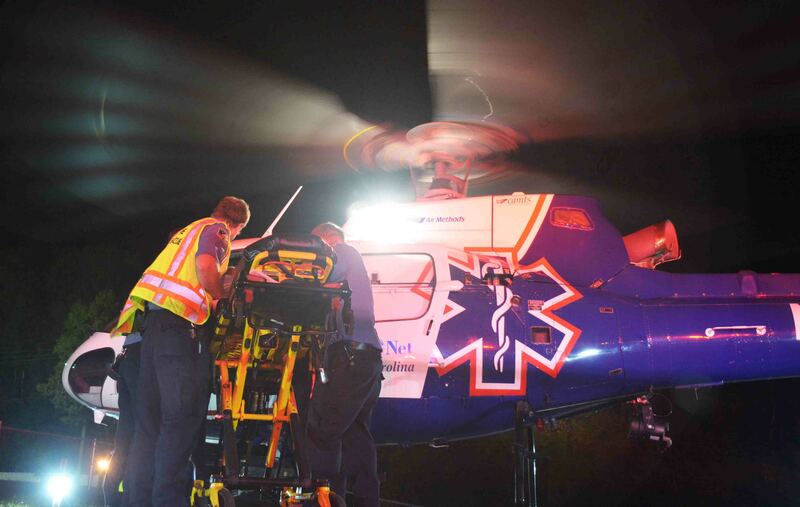 A 55 year old North Carolina man was in critical condition after being struck by a vehicle on Bells Hwy at the intersection of Mount Carmel Road Monday evening 21-September at 21:14. Witnesses reported the truck was traveling the speed limit of 45 mph when the man walked into the path of the moving vehicle. He was thrown into the air and struck a second vehicle that was stopped at the intersection. Click here for more information. 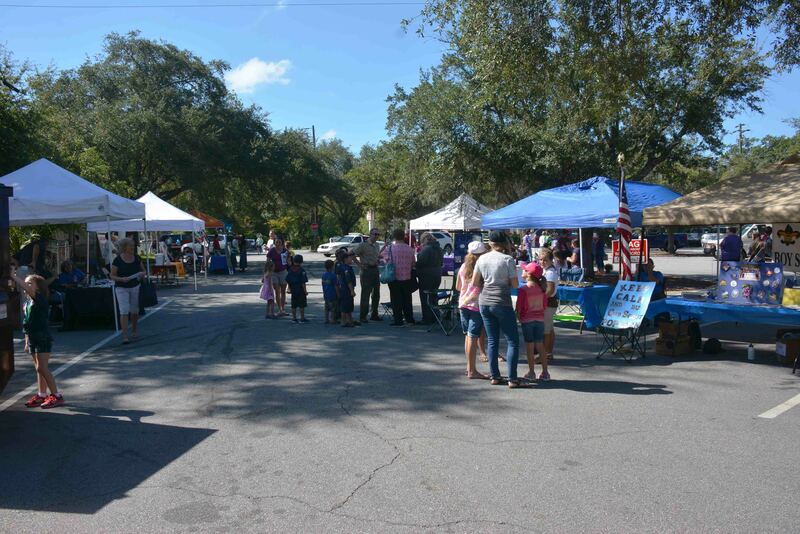 Colleton County Fire-Rescue participated in the Leadership Colleton Volunteer Fair in the City Parking lot Saturday 19-September. The 2015 Leadership Class held the Fair as their class project to bring awareness to the many local agencies who need volunteers. The Fair ran from 08:00 to noon. Battalion Chief Scott Feather and Missy Feather staffed the Fire-Rescue booth all morning, displaying some equipment and answering questions about volunteer firefighters. Click here for more information. A 19 year old Georgia woman received multiple traumatic injuries in a high speed crash on I-95 near the 57 mile marker southbound Saturday morning 19-September at 01:33. Apparently the southbound small Chrysler car collided with a southbound tractor trailer after passing the Bells Hwy overpass. The car lost control, skidded sideways and flipped over at least once as it rolled down an embankment into the tree line. Click here for more information. Colleton County Fire-Rescue is once again honored to be hosting the National Fallen Firefighters Candlelight and Memorial Service Weekend coverage on our website. The Candlelight Service will be held on Saturday, October 3rd from 1800 to 1930. The Memorial Service will be held on Sunday from 0930 to 12:00. Click here to view the broadcast. 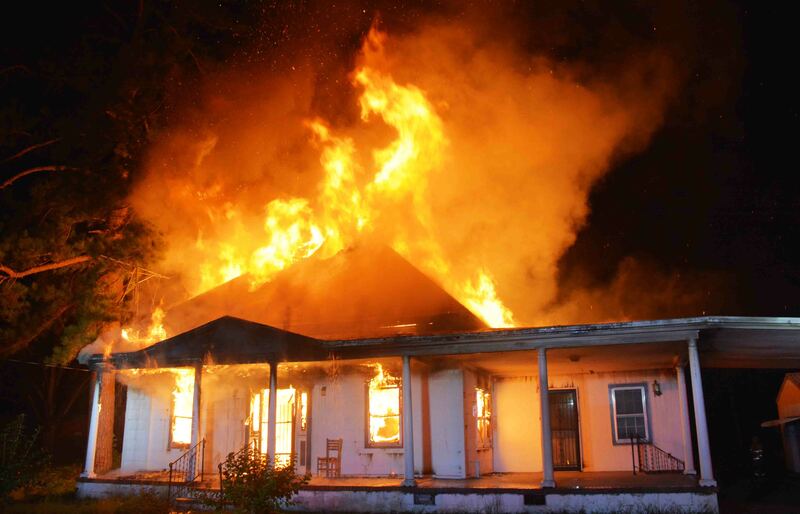 A 125 year old Lodge residence was destroyed in an early morning fire Sunday morning 13-Sept. 9-1-1 Operators began receiving calls about the fire at 00:49 reporting large amounts of smoke coming from the home. Engine 23 arrived a short time later to find heavy black smoke coming from the eaves on all sides of the structure. Firefighters found fire coming from windows at the rear of the building and deployed handlines to the back of the residence. Click here for more information. 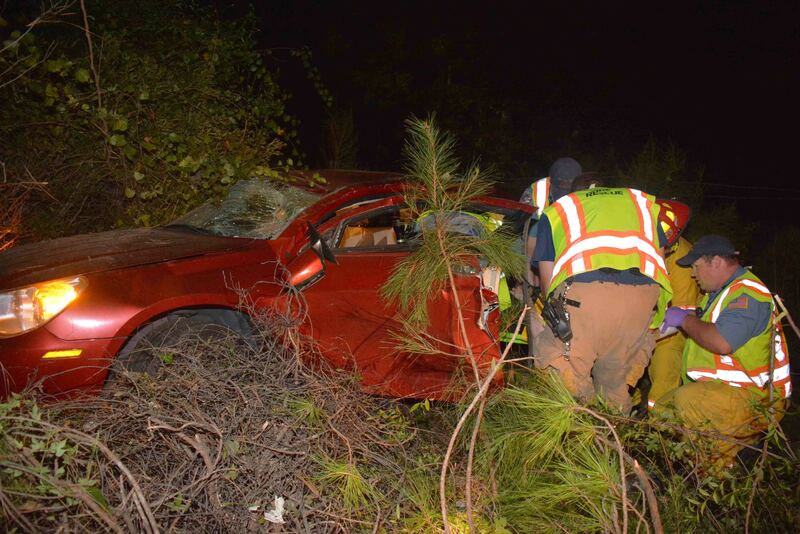 A Colleton County man died of injuries sustained in a single vehicle accident in the 3800 block of Sidneys Road Friday evening 11-Sept. At 19:09 Fire-Rescue was notified of a car that struck a tree just north of Danville Lane. 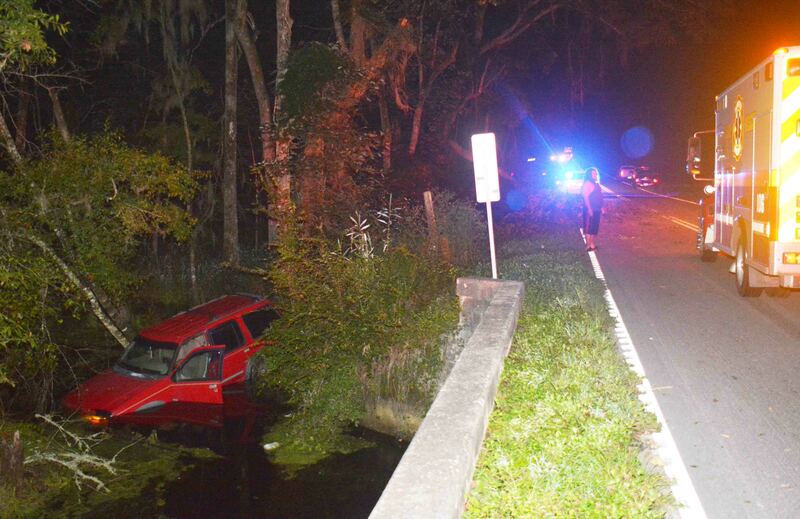 The caller advised the driver had been ejected and was laying in the roadway. Firefighter-Paramedics arrived to find the car with major damage blocking the northbound lane and the occupant in the southbound lane. Click here for more information. 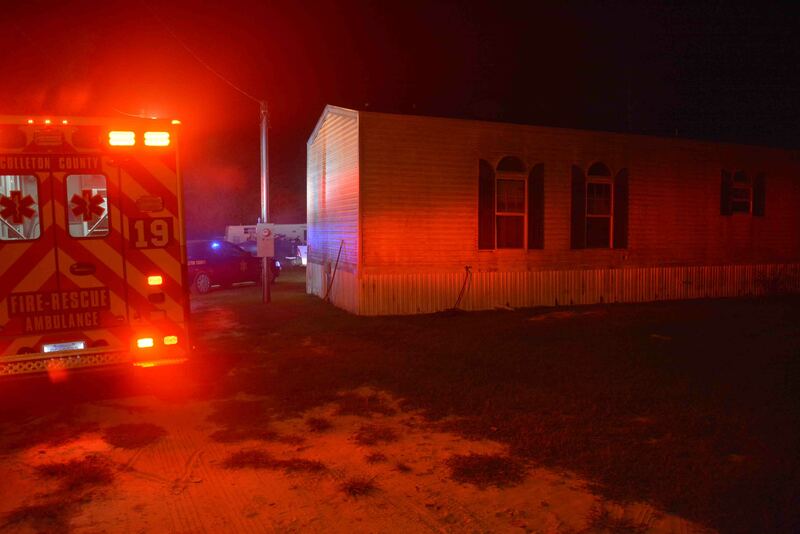 At 21:41 Friday evening 05-Sept Fire-Rescue Medic 19 was sent to the 800 block of Mars Oldfield Rd for the report of man being stabbed. Shortly thereafter Medic 9 was sent to the 900 block of Mars Oldfield Rd for a person who was assaulted. Medic 19 and Battalion 1 arrived to the first location to find a 48 yr old male who had been stabbed seven times with wounds to his chest, abdomen and back. Click here for more information. The arrangements for Battalion Chief Joey Campbell's mother, Jane Ayer Campbell, are as follows. The viewing will be September 2, 2015 at Brice Herndon Funeral Home Ehrhardt Chapel from 1800 to 2000. The funeral will be held on Thursday, September 3, 2015 at 14:00 at Saint Johns Baptist Church in Ehrhardt. Please continue to keep Battalion Chief Campbell and his family in your thoughts and prayers. Our condolences go out to Fleet Management Mechanic Randy Bishop for the death of his father. Four people were injured in a three vehicle crash in the 18000 block of Augusta Hwy (SC Hwy. 61), Tuesday morning 01-Sept. At 05:19, 9-1-1 Operators were notified of a single car that had struck a fallen tree laying across Augusta Highway near Ponderosa Lane. 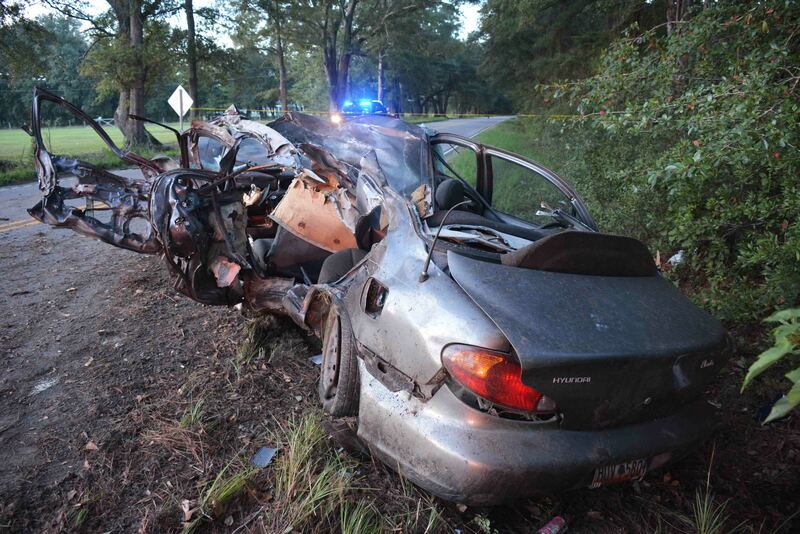 When responders arrived, two additional vehicle had also been involved in the collision. The fallen tree was blocking the entire highway and one pickup truck with heavy damage was blocking the west bound lane. Click here for more information.